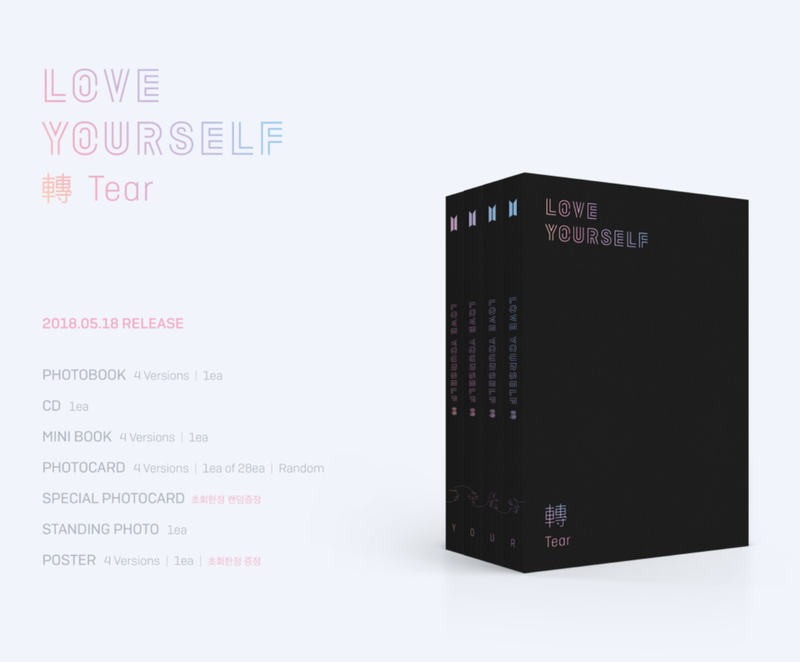 On Tuesday, April 17th, 2018, BigHit announced on the fancafe that BTS’s 3rd full-length album, "LOVE YOURSELF 轉 'Tear'," will be released on Friday, May 18th, 2018. Pre-Order begun on Wednesday, April 18th, 2018 and lasts until May 17, 2018 KST. Y, O, U, and R.